The bar-tailed godwit (Limosa lapponica) is a large wader in the family Scolopacidae. The genus name Limosa is from Latin and means "muddy", from limus, "mud". The specific lapponica refers to Lapland. The English term "godwit" was first recorded in about 1416–7 and is believed to imitate the bird's call. The bar-tailed godwit breeds on Arctic coasts and tundra mainly in the Old World, and winters on coasts in temperate and tropical regions of the Old World and of Australia and New Zealand. 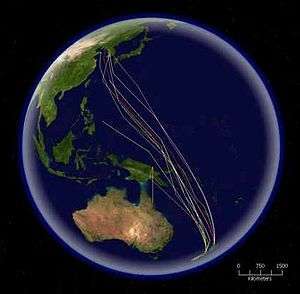 Its migration is the longest known non-stop flight of any bird and also the longest journey without pausing to feed by any animal. 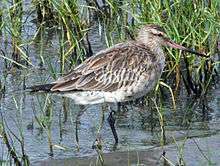 The bar-tailed godwit is a relatively short-legged species of godwit. The bill-to-tail length is 37–41 cm (15–16 in), with a wingspan of 70–80 cm (28–31 in). Males average smaller than females but with much overlap; males weigh 190–400 g (6.7–14.1 oz), while females weigh 260–630 g (9.2–22.2 oz); there is also some regional variation in size (see subspecies, below). The adult has blue-grey legs and a slightly upturned bi-colored bill, pink at the base and black towards the tip. The neck, breast and belly are unbroken brick red in breeding plumage, off white in winter. The back is mottled grey. L. l. lapponica - (Linnaeus, 1758): Breeds from northern Scandinavia east to the Taymyr Peninsula; winters western coasts of Europe and Africa from the British Isles and the Netherlands south to South Africa, and also around the Persian Gulf. Smallest subspecies, males up to 360 g (13 oz), females to 450 g (16 oz). L. l. menzbieri - Portenko, 1936: Breeds northeastern Asia from the Taymyr Peninsula east to the Kolyma River delta; winters southeastern Asia and Australia. Intermediate between the other two subspecies. L. l. baueri - Naumann, 1836: Breeds far northeastern Asia east of the Kolyma River, and western Alaska; winters in Australia and New Zealand. Largest subspecies. Flock landing in Tasmania, Australia. Note the barring on the tail. The bar-tailed godwit migrates in flocks to coastal East Asia, Alaska, Australia, Africa, northwestern Europe and New Zealand, where the sub-species Limosa lapponica baueri is called 'Kūaka' in Māori. It was shown in 2007 to undertake the longest non-stop flight of any bird. Birds in New Zealand were tagged and tracked by satellite to the Yellow Sea in China. According to Dr. Clive Minton (Australasian Wader Studies Group): "The distance between these two locations is 9,575 km (5,950 mi), but the actual track flown by the bird was 11,026 km (6,851 mi). This was the longest known non-stop flight of any bird. The flight took approximately nine days. At least three other bar-tailed godwits also appear to have reached the Yellow Sea after non-stop flights from New Zealand." One specific female of the flock, nicknamed "E7", flew onward from China to Alaska and stayed there for the breeding season. Then on 29 August 2007 she departed on a non-stop flight from the Avinof Peninsula in western Alaska to the Piako River near Thames, New Zealand, setting a new known flight record of 11,680 km (7,258 mi). ↑ BirdLife International (2015). "Limosa lapponica". IUCN Red List of Threatened Species. Version 2015. International Union for Conservation of Nature. Retrieved 24 January 2016. ↑ Jobling, James A (2010). The Helm Dictionary of Scientific Bird Names. London: Christopher Helm. pp. 219, 227. ISBN 978-1-4081-2501-4. 1 2 3 del Hoyo, J.; Elliot, A.; Sargatal, J., eds. (1996). Handbook of the Birds of the World. 3. Barcelona: Lynx Edicions. ISBN 84-87334-15-6. 1 2 Gill, R.E. ; Tibbitts, T.L. ; Douglas, D.C.; Handel, C.M. ; Mulcahy, D.M. ; Gottschalck, J.C.; Warnock, N.; McCaffery, B.J. ; Battley, P.F. ; Piersma, T. (2009). "Extreme endurance flights by landbirds crossing the Pacific Ocean: ecological corridor rather than barrier?" (PDF). Proceedings of the Royal Society B. 276 (1656): 447–457. doi:10.1098/rspb.2008.1142. 1 2 Snow, D.W.; Perrins, C.M. (1998). The Birds of the Western Palearctic (Concise ed.). Oxford University Press. ISBN 0-19-854099-X. ↑ "Eastern Bar-tailed Godwit (Kuaka)". Birding NZ. ↑ Strap, Don (Autumn 2009). "Flight of the Kuaka". Living Bird: 28–34. ↑ "Satellite Tracking Migratory Birds". USGS. Vinicombe, Keith (1 January 2010). "Black-tailed and Bar-tailed Godwits". Birdwatch. 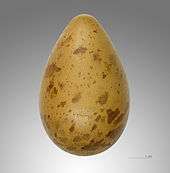 Wikimedia Commons has media related to Limosa lapponica. "Bar-tailed godwit media". Internet Bird Collection. Audio recordings of Bar-tailed godwit on Xeno-canto.